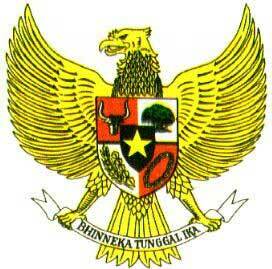 Effective February 1st, 2004, the government of Indonesia has changed its visa policy for foreign tourists. Entering Indonesia without any visa is possible now only for nationals of the following 11 countries and territories: Brunei Darussalam, Chile, Hong Kong Special Area (Hong Kong SAR), Macau Special Area (Macau SAR), Malaysia, Morocco, Peru, the Philippines, Singapore, Thailand and Vietnam. This facility is available for nationals of the following countries: Argentina, Australia, Brazil, Canada, Denmark, Finland, France, Germany, Hungary, Italy, Japan, New Zealand, Norway, Poland, South Africa, South Korea, Switzerland, Taiwan, United Arab Emirates, United Kingdom and the United States of America. Citizens of these countries will be able to apply for a VoA valid for either 3 or 30 days upon arrival by air in Bali, Jakarta and a few other international airports or by ship at a limited number of Indonesian sea ports. A 3-day visa costs US$10 and a 30-day visa costs US$25. The VoA cannot be extended or converted into any other kind of visa. Also be aware that Immigration officials calculate the 30-day period as follows: your arrival day is counted as your first day, and you must leave the country on the 30th. day! 1. Airport: Polinia Airport at Medan, Sultan Syarif Kasim II Airport at Pakanbaru; Tabing Airport at Padang; Soekarno-Hatta Airport at Jakarta; Juanda Airport at Surabaya; Ngurah Rai Airport at Bali and Sam Ratulangi Airport at Manado. 2. Harbour : Sekupang, Batu Ampar, Nongsa and Marina Teluk Senimba at Batam; bandar Bintan Telani Lagoi and Bandar Sri Udana Lobam at Tanjung Uban; Belawan, Sibolga at Medan, Yos Sudarso at Dumai, Teluk Bayur at Padang, Tanjung Priuk at Jakarta; Padang Bai at Bali, and Jayapura at Papua. Arriving travelers with Visa-On-Arrival status have to go first to one of the 'VoA Counters' to pay the appropriate fee and have their passports stamped with the VoA before proceeding to the Immigration Clearance Desk. An official bank is part of the VoA service counters. Payment of visa fees can only be made in US dollar bank notes, Indonesian Rupiah equivalent or by VISA or MASTERCARD. A visa extension of 15 days is allowed upon payment of an additional fee, please note that the application for extension must be made prior to expiry of your visa. Visitors that stay beyond their visa expiry date will be charged a fine of USD20.00 per day of overstay upon departure. Citizens of the Federated States of Micronesia (YAP, TKK, PNI, KSA), Palau (ROR) and the Republic of the Marshall Islands (MAJ & KWA) must pay USD $50 in addition to the regular visa fee. Citizens of all other countries must apply for a visa prior to arrival. Please visit the Indonesian Foreign Affairs web site for more information and a list of Indonesian consulates and embassies world wide.